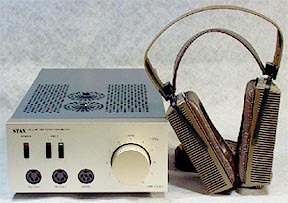 By 2003, most audiophiles worldwide only recognize Japanese audio firm STAX for its state-of-the-art electrostatic ear-speakers. 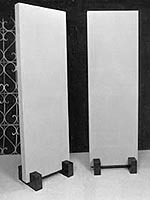 Far less publicized since their founding in 1938 is the long prior involvement with microphones, cartridges, tone arms, mic pres, DACs, power amps, CD players, battery power and full-range electrostatic speakers. If pictures are worth a thousand words, then the following gallery from the STAX history archives just saved us from 10,000 redundancies. We keep our stroll down memory lane ultra-brief. In passing, salute your appreciation for the research that's led up to today's review subjects: The SR-303 and SR-404 'phones with matching while interchangeable SRM-313 transistor and SRM-006t tube drive units. Situated below the $6,265 top Omega II SRS-007 system which, as its nomenclature indicates, sees plenty of action in the British Secret Service, the SR-404 Signature and SR-303 Classic occupy the System II range. This also contains the 202 Basic ($860 with driver). Benefitting from a new 1.35 micron thin diaphragm, the parallel of Martin-Logan or InnerSound full-range headphones is readily made. It's also about as factual as one could expect from a simile. With a published frequency response from 7Hz to 41kHz, both 'phones reproduce sound over a broader bandwidth than most stand-alone speakers - hence their designation as earspeakers rather than headphones seems rather appropriate. The essential outboard drive units provide 60dB of gain and 580V five-pin and 230V 6-pin sockets for left/right signal, return and diaphragm charge respectively. The ribbon-type umbilicals of today's transformer-less 'phones terminate in five gold-plated pins. Those also fit the 6-pin terminals of the older STAX models and could thus be jacked into either. 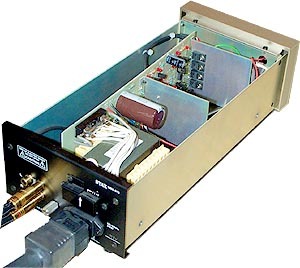 Using the lower-bias NORMAL plug reduces stator voltage and output. Loss of volume -- within sane levels -- can be matched back to the higher output of the PRO ONLY sockets by opening up the attenuator. Alas, there's a distinct loss of raw drive and resolution. Things get softer and fuzzier, as though a new car purchaser opted for the under-powered starter engine rather than doing without the frilly trim extras. The 6-pin sockets should thus purely be regarded as backwards compatabiity for older STAX 'phones. 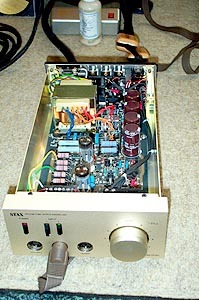 Both driver/amps are outfitted with single-ended RCA-style outputs which I initially mistook for volume-controlled pre-outs. They're not. They're simply "tape outs" or "loop-thrus" for daisy-chaining these headphone amplifiers between source and preamp (or another STAX driver). This smartly obliterates the requirement to have multiple outputs on a source component to feed both a regular preamp and the STAX units. The SRM-313 sports a single input and is designed to drive one pair of STAX earspeakers, via either the PRO or NORMAL outputs. 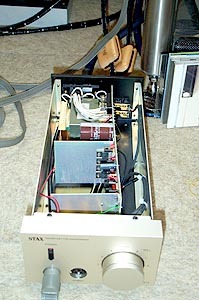 The 6FQ7/ 6CG7 triode-powered SRM-006t can drive two sets of STAX simultaneously. It sports twin PRO and one NORMAL output. It offers two single-ended inputs, one of which is paralleled by an XLR true-balanced set. A slide switch determines single-ended or balanced operation for this second input. The single-input 313 unit gets away with a single front-mounted power push button sync'd to a miniature red pilot light LED. 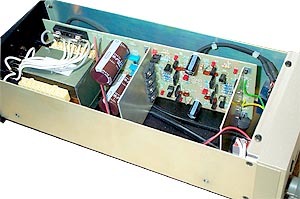 The twin-input 006t unit adds two discrete input selectors with green LEDs. 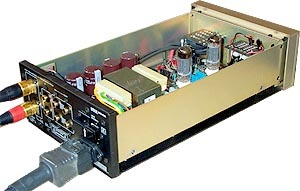 The 006t employ a "quadrupled double-spindle" attenuator to enable a balanced input without additional transformer. Both units change volume and balance simultaneously. 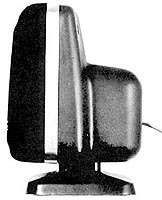 The frontal sliver of the split control affects the left, the larger rear sliver the right channel. You'll always operate this control monolithically since whatever balance offset you might dial in remains fixed thereafter regardless of position - a neat while slightly old-fashioned arrangement. Having procured the review loaners from US distributor Tats Yamanashi of Yama's Enterprise Inc (Morishita-San of MAL handles Canada), I was specifically charged to compare these two systems. According to Tats, they are the most popular models in the current lineup. As such, an A/B in a formal review context was long overdue. Because these specific earspeakers are freely inter-changeable (in fact, the 006t can power them simultaneously for rapid musical chairs), I would audition four different combinations of phone/amp. 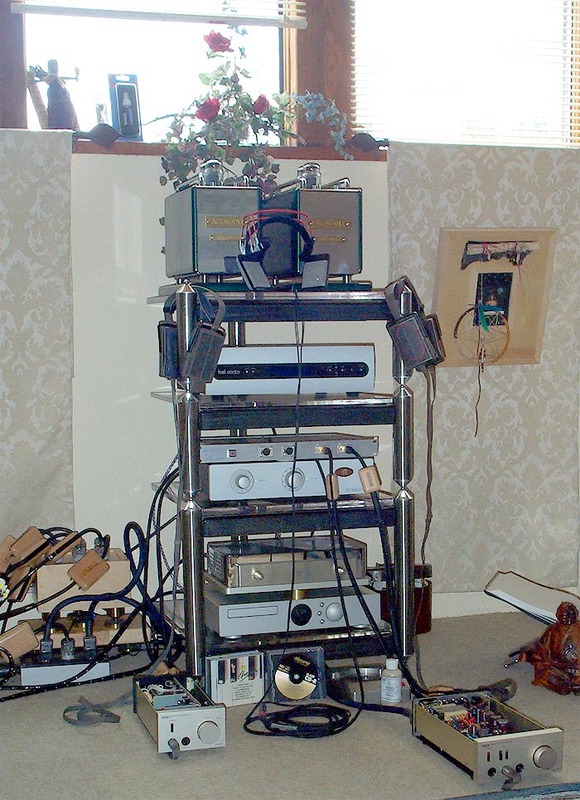 I'd source a highly resolved signal from the outputs of the Ortho Spectrum AR-2000 Analogue Reconstructor, passing on converted digits from the Zanden Audio Model 5000 MkIII 16/44 DAC preceded by the Cairn Fog as transport. This chain would be tethered together by Chris Sommovigo's excellent i2digital X-60 cable in the digital domain (BNC-to-BNC; review of his equivalent new HDVX under the Stereovox brand to follow soon). 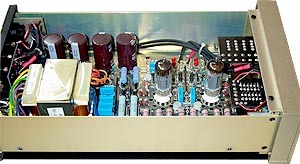 HMS Elektroniks Gran Finale provided analog domain connections (in the case of the 006t, alternately balanced and single-ended). For comparison back in the more conventional world of dynamic earspeakers, I'd use my beloved (and admittedly not very conventional) AKG K-1000s strapped to the same front-end. 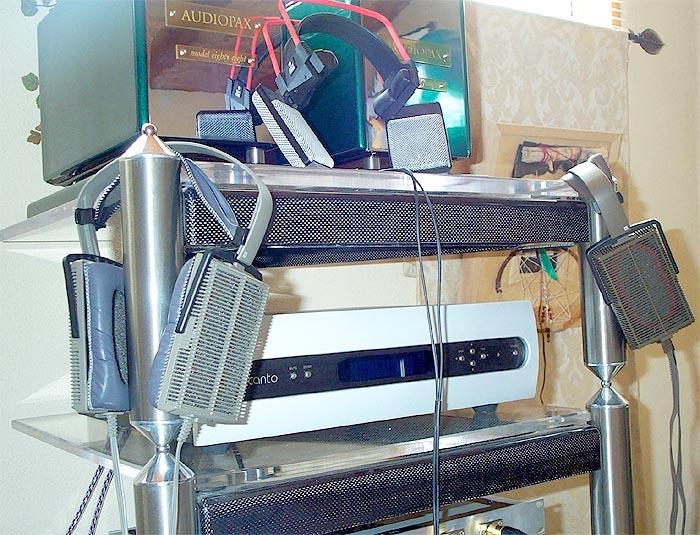 As is customary around here, these 'phones would be powered by my Unison Research Unico hybrid 80-watter via a custom length of Stefan Audio Art K-1000 cable terminated with Cardas Rhodium spades. 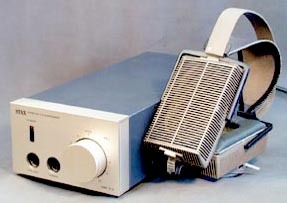 Both Stax amps would draw power from a Furutech RTP-6 via identical Harmonic Technology Fantasy AC-10 cords.